Fortnite (Free) coming to Android is hardly a surprise, and honestly, is so inevitable that it’s barely newsworthy. Instead, how Fortnite is coming to Android is the far more interesting part of this story. 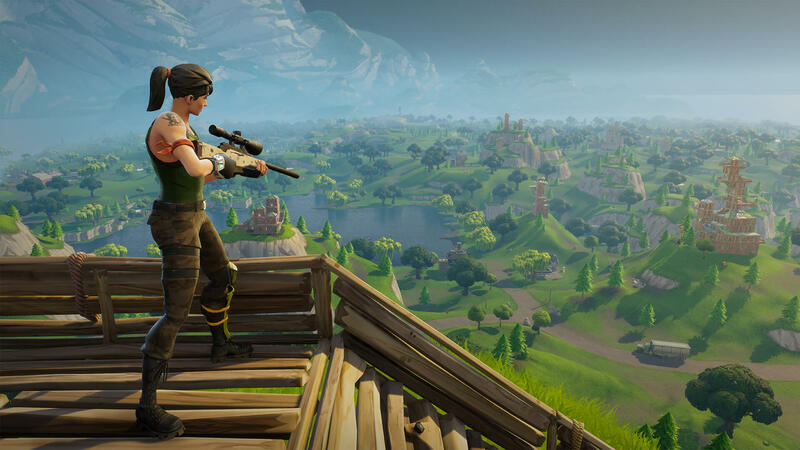 You won’t be able to download Fortnite on Google Play, the Amazon App Store, or any other Android marketplace. Instead, Epic is rolling their own in what might be the boldest power play we’ve seen in the history of mobile. It cannot be overstated what a big deal this is, as Fortnite might be the only IP, game, app, or otherwise that actually has a chance at breaking the extreme platform monopoly that has formed in the mobile industry. On Android, these things are far “easier," but still largely suffer from the same problem in that once you get outside of Google Play you begin drastically increasing the amount of friction it takes to download your app. It even seems like Amazon has seen limited success with the Amazon App Store, largely because at best the Amazon App Store plays a second fiddle to Google Play proper. On Android, Google Play is the only place you can download was most consider “core" apps of smartphone functionality like Google Maps, YouTube, and others. So, if you’re using Google Play anyway to get these killer apps, what use do you have for a secondary App Store that also basically has all the same things? The answer is you don’t, so Google Play competition is largely dead before it even gets off the starting line. This complete monopoly has really left developers with no choice. If you want your software on Apple devices, you pay them 30%. If you want your software on Android devices, you pay Google 30%. Any other distribution method limits your customer pool so severely that comparatively, 30% seems like a deal. That is, of course, unless you’re Epic with the biggest game on the planet. In this case, you can take a page out of Mr. Pink’s book, shake your head, and say, “F*** all that." Fortnite for Android will be distributed exclusively through Epic. TouchArcade: Is there a motivation for doing this beyond just not paying Google their 30%? TA: Are there plans for there to be other games in this Epic App Store? (Note: These questions were sent before we had the, “It’s the Fortnite Installer” chat.) It seems like there would have to be, otherwise it is a lot of hassle to deliver a single APK. TS: Fortnite is a big enough game to more than justify the effort of releasing an APK installer and game right now. As for the longer-term, we’ll see. TA: Is this part of a larger Tencent initiative, flowing all of their content into this store? TS: Epic’s efforts to reach users directly on open platforms like PC, Mac, and Android are driven by our own distribution needs, and aren’t related to Tencent’s efforts on their WeChat and WeGame storefronts in China. TA: Lots of rumors have been circulating that this is going to be exclusive to the Galaxy S9, is there any truth to that? Presumably anyone can download the Epic App Store? 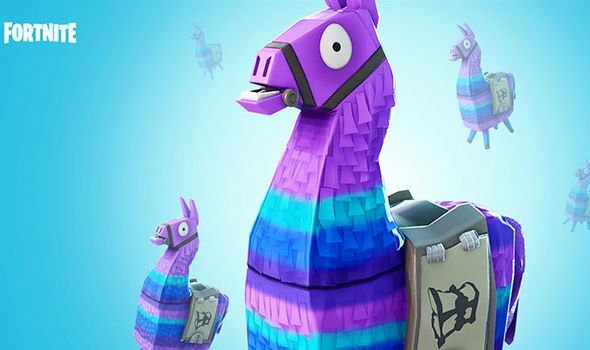 TS: Fortnite will be coming to all Android devices that are capable of running it stably and with good performance. Stay tuned for details of the launch timing. 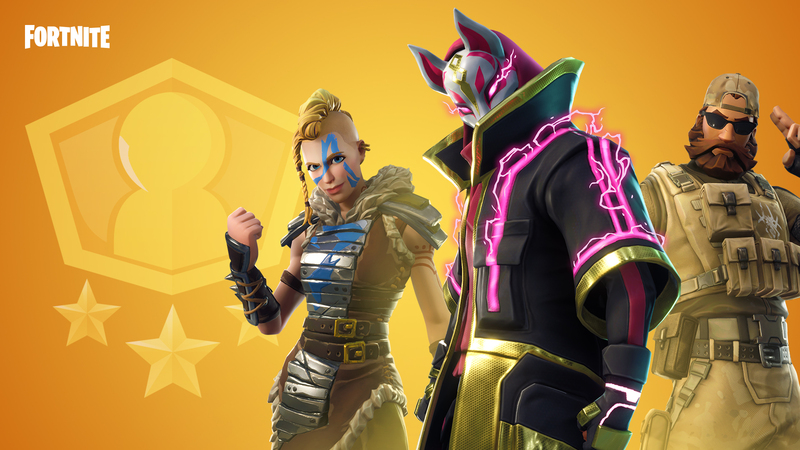 TA: How does this all play into Epic’s larger mobile plans moving forward? TS: We’re investing huge resources into optimizing Fortnite on Android and iOS, and all of this work is being shared with all developers using Unreal Engine as we build it. The ultimate aim is to enable all developers to build unified games that run compatible across all devices, similar to what we’ve done with Fortnite. We were lucky enough to have Epic run us through a hands on with just how the install process works. Basically, players on Android devices will head to the Fortnite web site at which point you tap a button to download the Fortnite Installer .apk file. After that finishes, you launch the Fortnite Installer, which, unsurprisingly, installs Fortnite. The one really strange thing about this process that I think is going to cause loads of confusion is what you do next. If you’re installing software on your PC, Mac, or any other platform, what do you do with the installer afterwards? Delete it, right? Or at best, move it to some archive folder in case you need to install it on another machine? 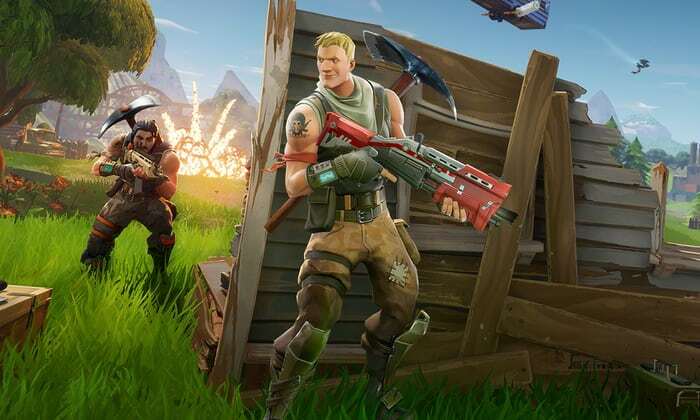 In the case of the Fortnite Installer, you need to keep it on your device as that’s how you’ll update Fortnite with each new patch Epic releases. But, hey, whatever, I’m sure if this turns out to be an issue Epic will rapidly adjust and everything will be fine. Regardless, the precedent this set is absolutely fascinating. As mentioned, Epic has reiterated this is merely the Fortnite Installer and not some larger platform… But honestly, it seems impossible to believe that their aspirations are so limited. For instance, Epic recently announced that they’re shifting the Unreal Engine Marketplace to have a 88% / 12% split, which is far more generous than anyone else. Epic using the popularity of Fortnite to roll their own App Store where they offer a similar 88/12 split would be an absolutely monumental maneuver in the mobile space. With enough momentum, both Google Play, and potentially even Apple’s own App Store could be forced to respond by slashing their own rates. If all the gamers have downloaded this hypothetical Epic App Store because of Fortnite, and you’re only giving Epic a 12% cut instead of 30%, why on Earth would you bother with the others? Particularly if Epic offered some level of curation to prevent their App Store from being overloaded with garbage? It feels unbelievably likely if they did walk this path that the Epic App Store could be the Steam equivalent for mobile, potentially making the cash Epic is making on Fortnite seem like small potatoes. I want to live in a world where this is a reality. This is the kind of disruption that mobile badly, badly needs. Apple and Google have gotten away with far too much, for far too long, and I really hope that Epic has these kind of ambitions. As far as when this all happens, as specific Epic is willing to get right now is that Fortnite is coming to Android via the Fortnite Installer this summer. Until then, I’m putting all my hopes and dreams on Tim Sweeney’s “We’ll see."